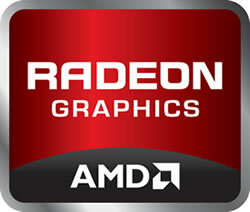 New 28nm desktop graphics chips from AMD are set to arrive in January 2012, according to a report on Fudzilla. Originally expected to hit the market by the end of 2011, the site claims to have word from "multiple industry sources" that Tahiti won't materialize until the New Year, with the new series adopting the Radeon HD 7xxx branding. Tahiti will be the direct successor to Cayman, currently powering AMD's Radeon HD 6900 series, and is expected to come in XT and PRO variants. Although specific models haven't been announced yet, if AMD sticks to their current GPU naming scheme then we can expect the new cards to debut as the Radeon HD 7970 and Radeon HD 7950. Both will be single-GPU products, replacing existing Radeon HD 6970 and HD 6950 models, while a dual-GPU variant combining two Tahiti chips is expected to arrive later in 2012 as the Radeon HD 7990 (aka New Zealand). The latter is reportedly scheduled for a March release but it could slip into early Q2 2012. The Radeon HD 7900 series will mark the arrival of AMD's new Graphics Core Next (GCN) architecture, which was first revealed in June and is supposed to create a GPU that performs well at both graphical and computing tasks.